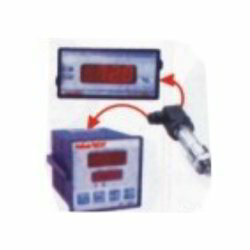 We have gained huge accolades by our clients for our excellent quality range of Instrumentation. These are manufactured using superior quality materials, procured from reliable vendor and find a wide application across various industries. 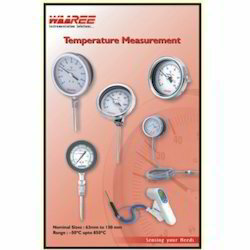 Our range of Instrumentation are available in various sizes & weights, and is highly appreciated for its apprehensive features like high tensile strength and durability. available in various specifications, these can also be custom made as per the clients requirements. further, we offer these products at industries leading prices. Backed by our in-depth industry experience, we have been able to bring forth a premium collection of industrial instrumentation products. 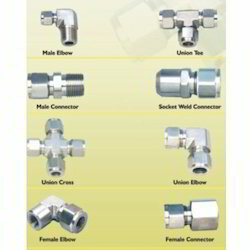 In our range, we offer male Elbows, Union Tee, Male Connectors, Socket Weld Connectors, Union Cross, Union Elbows, Female Elbows and Female Connectors. These are made of high grade material of construction such as brass, monel, duplex and hastelloy. Due to this, these are known for accurate design, durable finishing and rust resistance. Our in-depth understanding of the domain enables us in meeting the growing demands of clients with premium range of gauges. These are available in varied specifications to meet the exact application demands. 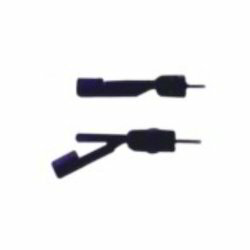 The gauges we offer are available in different connections such as Bottom, Back, Back with Panel Mounting, Back with Mounting Bracket. 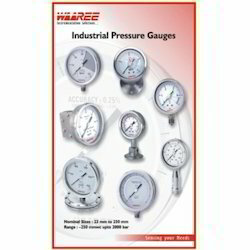 We can offer these gauges to clients based across the country at market leading prices. For our esteemed clients, we have come up with a precision engineered range of transmitters with indicator or controllers. Based on latest technology, these transmitters are easy to use and can be installed without any hassles. We also ensure that these are properly tested on well defined parameters before delivering to the clients. Provided within the stipulated time period and market leading prices, these products have made us a favourable partner of our clients. Under our vast range of industrial instrumentation solution, we are engaged in offering Miniature Level Float Switch-PP. Made of polypropylene, these float switches are resistant to corrosion and are ideal for acidic environment. 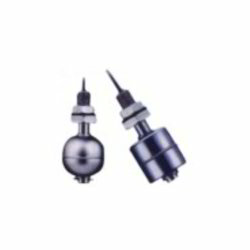 Available in different models, these are easy to install and provide longer service life due to sealed contacts. In addition to this, these switches also assure flexible and cost effective operations. We also have on offer Miniature Top Mounted Level Switches made of stainless steel. Our sophisticated facilities enable us in meeting the exact demands of clients by offering these in various models. These switches are designed and developed in compliance with the industry standards so as to assure reliable performance and easy maintenance. Simple installation and longer functional life make these top mounted level switches one of the favoured products. Looking for Industrial Instrumentation ?